Agriculture touches every facet of our life. From the cotton sheets you emerge from each morning to the plant-based soaps you use to wash your body, to the coffee you imbibe to actually “start” your day, we interact with agricultural products at every touchpoint in our lives. 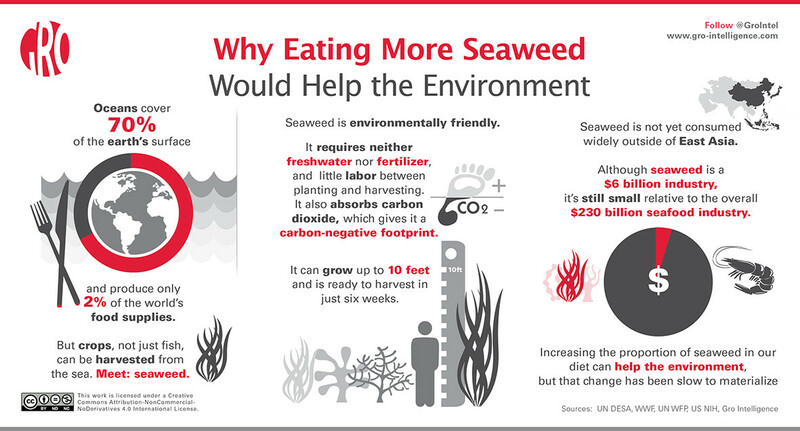 But how much do we, as consumers, actually understand about agricultural markets? That’s the point that Sara Menker, founder and CEO of Gro Intelligence, makes in her presentation at last month’s The Next Billion, Quartz’s conference on the future of the connected world. In the below video she outlines the work of Gro Intelligence to structure and contextualize the world’s agricultural data. Their first product, Clews, transforms big data into searchable information and analytics and empowers individuals to bypass specialized technical software to access information they need directly. The product is “basically a search engine for structured information around agriculture…it’s everything from demographics to markets,” Menker explains, but the most important aspect of the product is that it is designed. “We’ve added a layer of design—we’ve added a layer of respect to the industry,” Menker argues. “It is an aging industry and as a result, a lot of the products that have been built for it largely resemble the demographics…if you don’t treat it with respect, you aren’t actually going to lead the next generation of young leaders to take over the industry.” Clews not only presents data, but it also models future yields, giving users an opportunity to draw deeper conclusions about markets and the ways they connect from farmer to consumer. 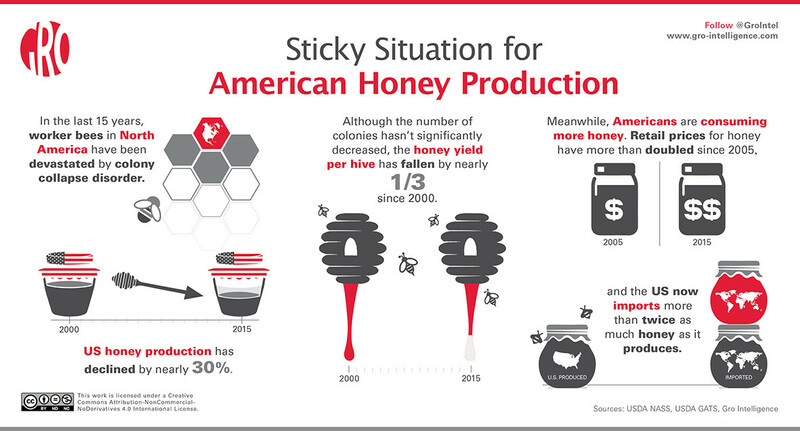 For just one example, see the full insight on US Honey Production from Gro Intelligence. Menker and her team understand that through design, the complex and messy agricultural market can be parsed and understood by not only the current stakeholders but perhaps engage a future generation of agricultural leaders who will be enabled by the power of data.